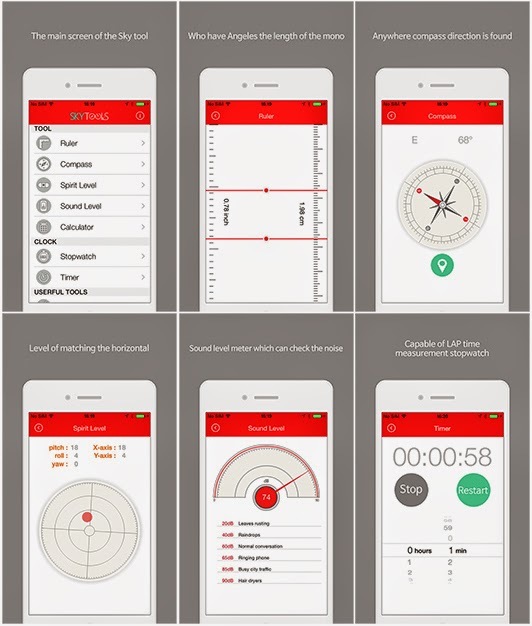 Of sky Tools is an app that combines a tool that is useful to use in everyday life. 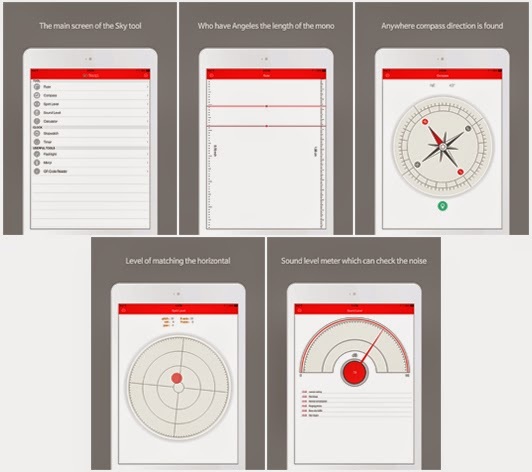 [Tool] ruler, compass, level, noise meter, calculator. Ruler to measure the length of a variety of things. Compass direction is divided from anywhere. Level to be taken in the horizontal. Noise meter noise can be measured in the current location. Calculator that can calculate complex formulas and Yes have available. LAP Time is Hakareru stopwatch. Timer to be notified when you specified time has elapsed and, is available. Or brightens the dark, flashlight with flashing function can be confirmed even distant place. Make sure your face, and expansion can mirror. Check the various QR CODE, moved or result value in the URL QR CODE Reader that can COPY you Yes vailable.